Austria, Germany, Italy, Portugal, Spain and Turkey have said they intend to submit a formal bid. 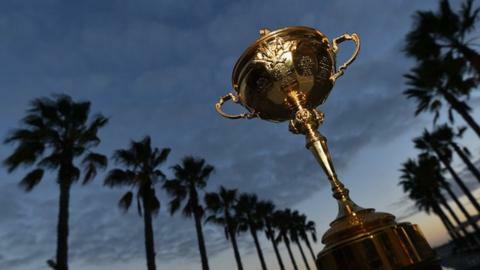 Denmark has pulled out of the contest to host the 2022 Ryder Cup, leaving six European nations in contention. Turkey entered the contest after initially suggesting it would wait until 2026 to build a course. Formal submissions of official bids must be made by 30 April 2015, with the host nation and venue expected to be named in autumn 2015. Europe and the United States contest the Ryder Cup every two years, alternatively home and away. Europe won this year's event at Gleneagles in Scotland, their eighth victory in the last 10 tournaments. The tournament will be held in Minnesota in 2016, Paris in 2018 and Wisconsin in 2020.